A. Philip Randolph was a prominent activist and civil rights leader. Bayard Rustin and Randolph founded the AFL-CIO organization, the A. Philip Randolph Institute. He also founded the Brotherhood of Sleeping Car Porters. Joseph Rauh represented Randolph in a 1951 suit to force the integration of an all-white railroad organization. Planning for the event was complicated by differences among members. Known in the press as "the big six," the major players were Randolph; Whitney Young, President of the National Urban League; Roy Wilkins, President of the National Association for the Advancement of Colored People; James Farmer, President of the Congress of Racial Equality; John Lewis, President of the Student Nonviolent Coordinating Committee and Martin Luther King Jr., the founder and President of the Southern Christian Leadership Conference. Bayard Rustin, a close associate of Randolph's and organizer of the first Freedom Ride in 1947, orchestrated and administered the majority of the details of the march. According to Boston Democratic Socialists of America publication Yankee Radical, September/October 2010 page 3, the Socialist Party USA played a major role in organizing Martin Luther King, Jr.'s famous 1963 March on Washington for Jobs and Freedom. According to Boston DSA several Socialist Party members played key roles in organizing the march, including A. Philip Randolph, Bayard Rustin, Tom Kahn, Rachelle Horowitz and Norm Hill. King himself was in the Socialist Party in Boston during his student days in the early 1950s, according then Socialist Party member, now DSAer Bogdan Denitch. As at Feb. 8, 1946, A. Philip Randolph served on the National Committee of the American Civil Liberties Union. Every year since the mid 1960s the Indiana based Eugene V. Debs Foundation holds Eugene Debs Award Banquet in Terre Haute, to honor an approved social or labor activist. 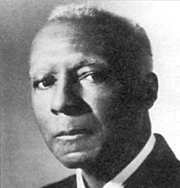 The 1967 honoree, was A. Philip Randolph. This page was last modified on 1 January 2013, at 08:27.